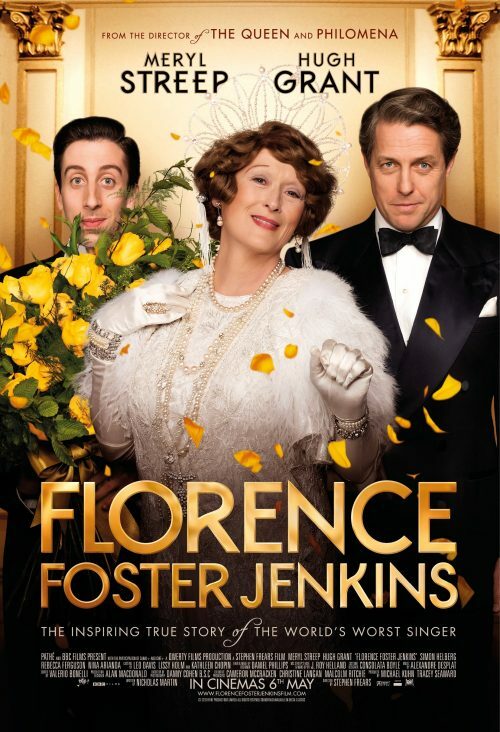 The only disappointing thing about the new poster for Florence Foster Jenkins is that’s it’s quite good. not as good as the lady herself ‘tho! The comedy drama directed by Stephen Frears tells the inspirational true story of the eponymous New York heiress who obsessively pursued her dream of becoming a great singer. The film celebrates the human spirit, the power of music and the passion of amateurs everywhere. The voice Florence heard in her head was divine, but to the rest of the world it was hilariously awful. At private recitals, her devoted husband and manager, St Clair Bayfield, managed to protect Florence from the truth. But when Florence decided to give her first public concert at New York’s Carnegie Hall, St Clair realised he had perhaps bitten off more than he could chew.